Guarino's Restaurant - 216-231-3100: New Years Eve 2010!! It's hard to believe New Year's Eve is here again!! Call now to book your reservation at Guarino's! Special: FREE glasses of champagne with dinner for two or more. After all...it's New Year's !! 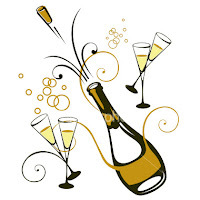 Stop in Guarino's and celebrate New Year's Eve 2010 with the family! We will see you here!!!! Have a safe and blessed holiday season! !